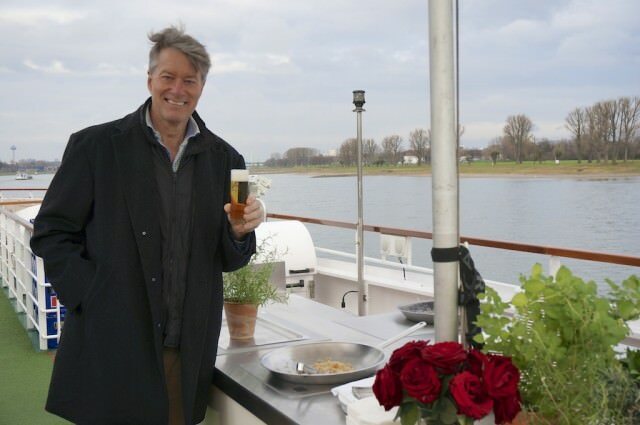 On deck while cruising into Cologne: Enjoying a glass of Kölsch, a traditional beer from Cologne. 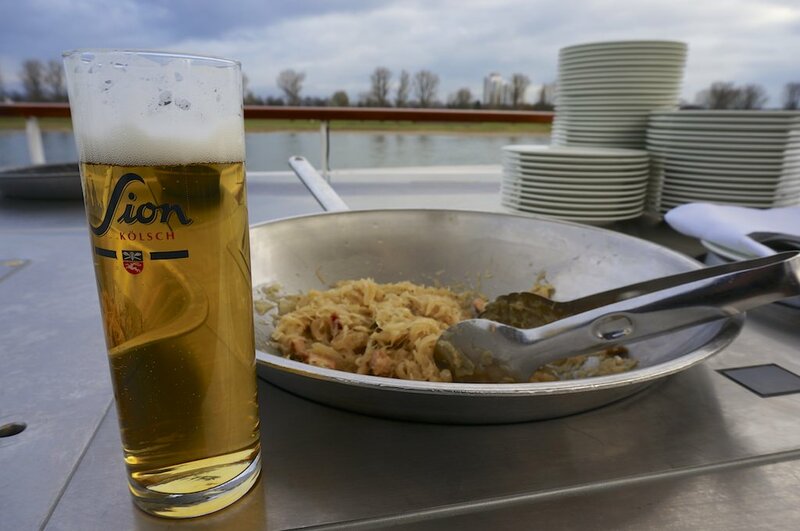 My day started with Kölsch and Kraut. Kölsch is a beer typical of the Cologne region, sparkly yellow and lightly hoppy. The kraut took the form of sauerkraut, delicious and tempting all of us to have more than we felt we should 30 minutes before lunch. 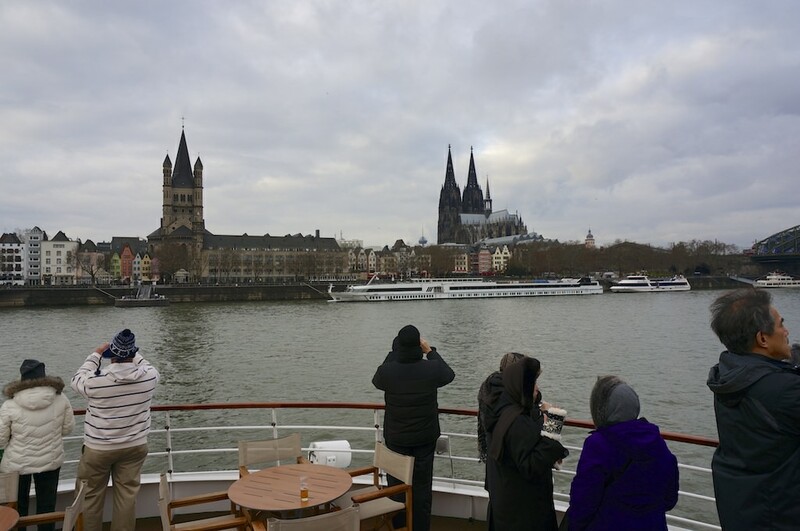 I stood with my fellow passengers on the sundeck watching A-ROSA Silva bring us closer and closer to Cologne. The anticipation of seeing a new place was palpable. Cameras were snapping as one cityscape after another revealed itself to us. Finally, the Cologne Cathedral came into view. More cameras snapping. 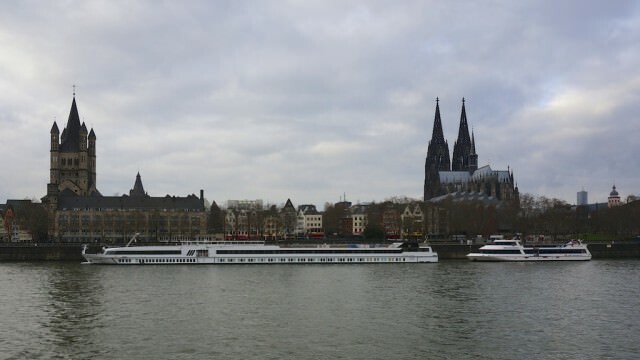 The captain steered A-ROSA Silva toward the bank, securing a dock that would put us within walking distance of the cathedral and the city center. As I had visited the city center and the cathedral numerous times, I asked Reception to ready a bike (free of charge, as I have mentioned many times when discussing A-ROSA). Bike secured, off I went pedaling along the Rhine and, 45 minutes later, back to the city center and the crowds at the cathedral and the Old Town. 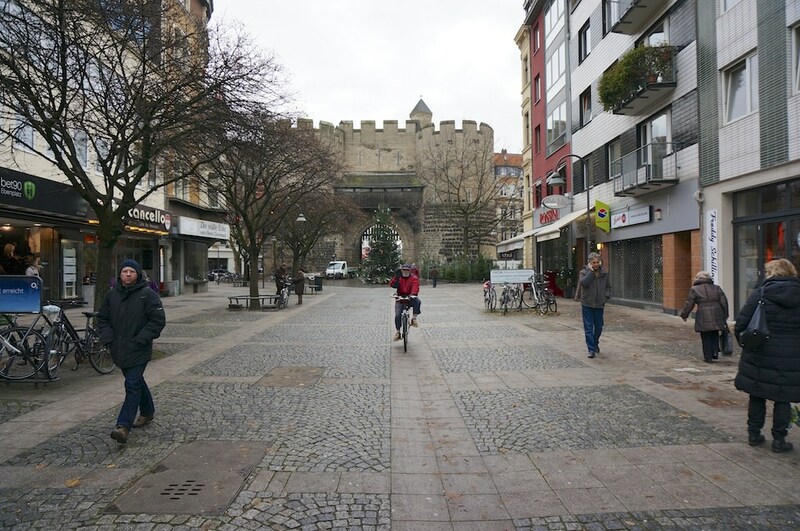 I had a great day exploring Cologne by bicycle. 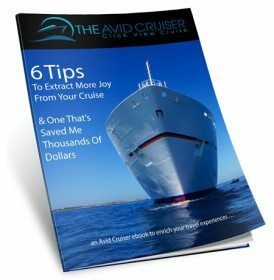 I realize I write a great deal about the active experiences on A-ROSA (see Assessing A-ROSA Stella: 9 Differentiating Factors That Would Make Me Cruise Again). Perhaps it is because my nature, as is the nature of many others, is in motion. I enjoy exploring and seeing, and most of all, moving. 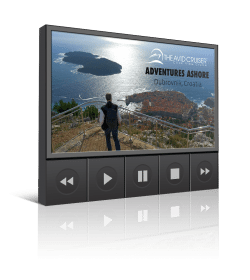 A long brisk walk or a vigorous bike ride is invigorating enough at home, but when abroad these activities take on an added dimension of pleasure. Every footstep, every revolution of the pedals, has the potential to present the unexpected — something other than what we’re accustomed to back home. 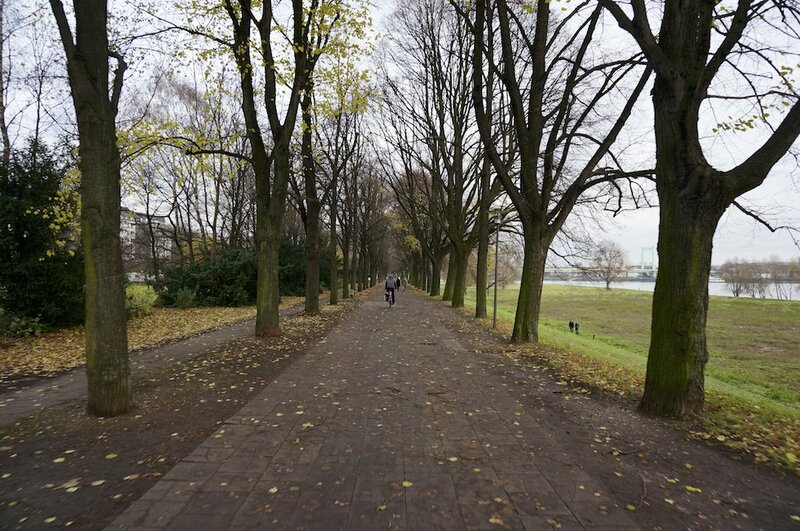 Today on my ride, I cycled down beautiful avenues of trees lining each side of paved paths for the exclusive use of pedestrians and bicycles. I envy Europeans for living in places that provide spaces for those of who prefer to use their legs to propel rather than fossil fuels. There is a whole other city outside the cathedral area that I discovered while pedaling, however. That’s where people live and work, where kids play and where the grit of life takes place. I love experiencing all of it. Though it seemed insignificant at the time, I made an unusual gesture when passing a man and his wife on their bikes.